Stories about ancient mystical manuscripts are numerous but, like the Dead Sea Scrolls, this one is believed to be true. 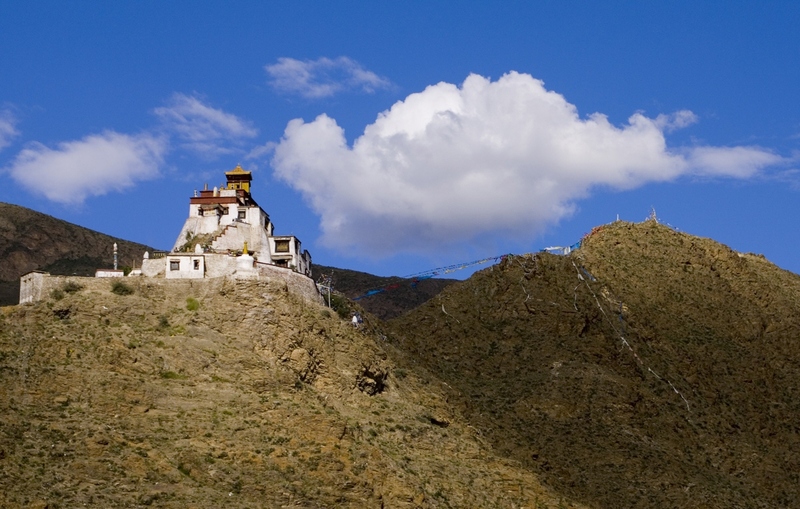 He discovered in Lhasa the Grand Lama (now known as the Dalai Lama) 'who is reverenced, and even adored as a god.' At the temple, hidden away, were 'writings of antiquity.' Following authorisation of the Emperor of China these manuscripts were allowed to be translated. The writings were said by the Chinese to be attributed to Confucius but the Rosicrucian opinion is somewhat different: '... there is every indication ... that most was written by Amenhotep IV, Pharaoh of Egypt, during 1360 to 1350 BC.' If correct this would mean the manuscripts are now nearly 3,400 years old. The followers of Amenhotep were the founders of sects such as the Essenes, which later evolved into a fraternity called the Brethren of the Rose Cross, later known as Rosicrucian. There is an opinion that Jesus belonged to the Essenes. I have the translations of the manuscripts in a book format, which I obtained from the Rosicrucian organisation while a member. It's too long to reprint here but I have picked out a small section which comes under the heading of the Manifestations of Karma as a flavour of what it contains. This is what is said under the heading of Pain and Sickness, which I find interesting. The language and punctuation is of the time of the translation. "The sickness of the body affecteth even the spirit; the one cannot be in health without the other. Pain is of all ills that which is most felt; and it is that which from nature hath the fewest remedies. When thy constancy faileth thee, call to thy reason; when thy patience quitteth thee, call in thy hope. To suffer, is a necessity entailed upon thy nature, wouldst thou that miracles should protect thee from its lessons? or shalt thou repine, because it happeneth unto thee, when lo! it happeneth to all? Suffering is the golden cross upon which the rose of the Soul unfoldeth. It is injustice to expect exemption from that thou wert born to learn; submit with modesty to the laws of thy condition. Wouldst thou say to the seasons, "Pass not on, lest I grow old?" is it not better to suffer well that which thou canst not avoid? Pain that endureth long, is moderate; blush therefore to complain of it: that which is violent, is short: behold thou seest the end of it. The body was created to be subservient to the Soul; while thou afflictest the Soul for the body's pain, behold thou settest the body above it. As the wise afflicteth not himself, because of a thorn teareth his garment, so the patient grieveth not his Soul because that which covered it is injured." This is probably not to all tastes but when we look at such old manuscripts there is a often a similarity of themes, many of which have been adapted into the Bible. Terrific post. So you got this translation when you belonged to the Rosicrucians? Did every member get a the book? How cool.